Adolescent girls can be real monsters. Maude is twelve-which is just about that age when some girls turn into flesh-eating wildcats. As her detective dad investigates a series of strange mauling attacks, Maude begins to worry that she might be the killer. From the creative team that brought you the groundbreaking Eisner-nominated series Mockingbird, this trade paperback collects the first story arc of the unconventional coming-of-age tale-including the informative survival handbook, 'CAT FIGHT! A BOYS' GUIDE TO DANGEROUS CATS' and all-new never-before-published extras! 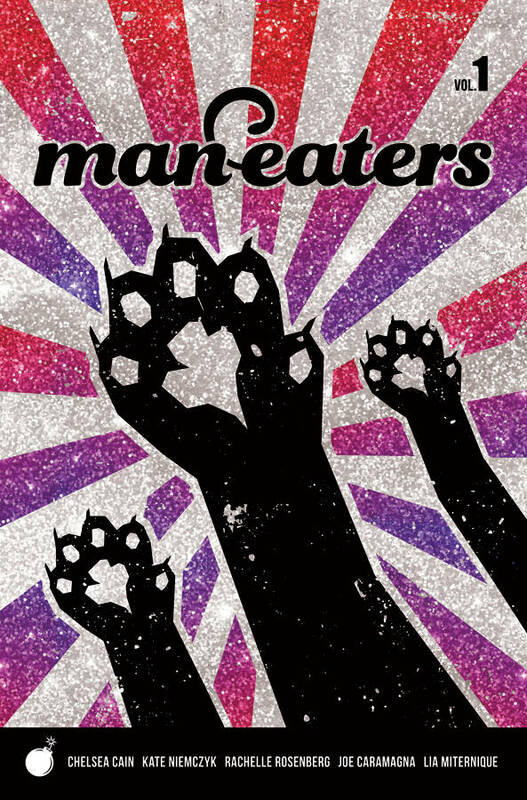 Collects MAN-EATERS #1-4.